The UFC will be in Austin, Texas tonight for UFC Fight Night 126 and the fight card is going to be headlined by a welterweight matchup that should be a fun and exciting fight as Donald “Cowboy” Cerrone will compete in the UFC octagon for the 27th time as he takes on Yancy Medeiros, who will be competing in his first UFC main event. 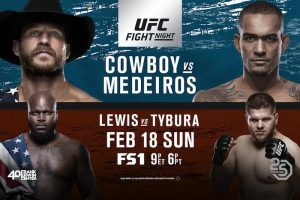 Along with the welterweight main event, the main card on FS1 will see fan favorite Derrick Lewis as he will take on Marcin Tybura in a heavyweight bout and Texas’ own James Vick will look to continue his rise up the UFC lightweight division rankings as he meets Brazilian Francisco Trinaldo in a matchup of top 15 UFC lightweights. 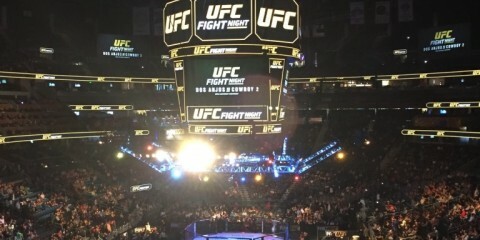 For me, I love the fact that this main card will start at 9 p.m. ET/6 p.m. PT on FS1. Now, I would like it better if this was a four fight main card instead of a six fight main card. As a east coast resident and someone that gets up early every day to start the work day, I would prefer if a Sunday night fight card would end by 11 p.m. ET and not 12 a.m. ET. But this is something I can not control, so can’t worry about it too much. UFC Fight Night 126 is a fight card that I do plan to watch live, but can’t guarantee that I will watch all of the preliminary card live. Will definitely be DVR’ing the prelims and there are some fighters on the preliminary card that I am interested to see how they perform: Tim Williams, Joby Sanchez, Jared Gordon, and Carlos Diego Ferreira. The matchup between Gordon and Ferreira will be the featured prelim on FS1 (7 p.m. ET/4 p.m. PT) and this will be Ferreira’s first fight since the beginning of 2016 due to a USADA anti-doping violation. When it comes to the main card, I am all-in on the main event. This is one of those fights that I would be fairly surprised if this does not deliver. This is also a matchup of fighters that decided to go up in weight instead of cutting a good amount of weight. While Cerrone has mentioned that he plans to return to lightweight and Medeiros has discussed potentially going back to lightweight for the fight amount of money, these are two fighters that would likely be ideal for the 165 pound weight class. Of course, UFC is unlikely to adopt the 165 pound weight class, which I do not understand that decision. 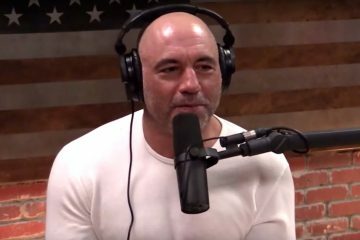 It would be a fighter-friendly move in my opinion, and could help deal with the weight cutting issues we have seen over the past couple of years. The co-main event is a fight I am interested to see as well and it has more to do with Derrick Lewis and not Marcin Tybura. Look, Tybura is clearly a top 15 heavyweight in the UFC, but Lewis is a fighter that UFC likely wants to see get a victory due to the potential booking of Lewis vs. Francis Ngannou. 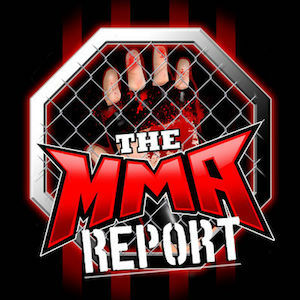 As I have stated many times on The MMA Report Podcast, Lewis understands how to promote himself on social media and if he can keep this fight on the feet, I think he will pull off the victory. However, if this matchup goes to the ground, Tybura will likely end up walking out of Austin, Texas as the winner tonight. – Cerrone is tied with Chuck Liddell for the 3rd most knockdowns landed (14) in UFC history (Anderson Silva #1 with 18). – Cerrone has the 7th best significant strike accuracy (51.8%) in UFC welterweight division history (Minimum 5 UFC fights and 350 significant strike attempts). – Cerrone has the 2nd best strikes landed per minute (5.36) in UFC welterweight division history (Minimum 5 UFC fights, Duane Ludwig #1, 6.72). – Medeiros has the 4th shortest average fight time (6:36) in UFC lightweight division history (Minimum 5 UFC fights, Manny Gamburyan #1 at 4:45). 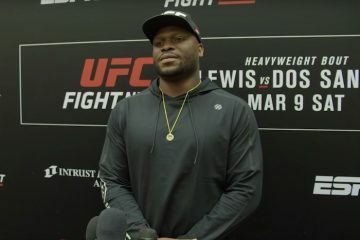 – Lewis has the 10th best strike differential (+1.62) and 6th fewest strikes absorbed per minute (1.58) in UFC heavyweight division history (Minimum 5 UFC fights). – Tybura has the 2nd longest average fight time (14:56) in UFC heavyweight division history (Minimum 5 UFC fights). – Tybura is tied with Andrei Arlovski for the best takedown defense (81.8%) in UFC heavyweight division history (Minimum 5 UFC fights and 20 takedown attempts by opponents). – Thiago Alves is tied with Melvin Guillard, Anthony Johnson, Lyoto Machida, and Shogun Rua for the 5th most knockdowns landed in UFC history (Alves has most in UFC welterweight division history). My picks: Donald Cerrone, Derrick Lewis, James Vick, Thiago Alves, Steven Peterson, Sage Northcutt, Jared Gordon, Geoffrey Neal, Joby Sanchez, Sarah Moras, Alex Morono, and Oskar Piechota. The complete UFC Fight Night 126 fight card lineup is below.